After I watched the Black Swan, I immediately fell in love with the movie. It may be dark and even disturbing but how the Me vs. Myself conflict was perfectly delivered in a movie made it totally brilliant. The director managed to combine art, emotion, passion and talent into one single movie. 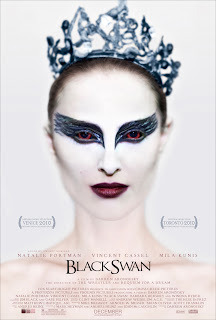 Natalie Portman finished it with a stunning performance which makes her winning an Oscar award unquestionable. I could not help but immerse myself with how she is undergoing all the psychological battle in her head as she tries to loosen up her self by straying away from her White Swan image as she is striving to perfectly portray The Black Swan needed for her role as Swan Queen. The cinematography and sound perfectly fit the overall horror and dark feel of the movie. Everything was brilliant. It kept me holding my breath until the last scene of the movie. I would give it a 10.